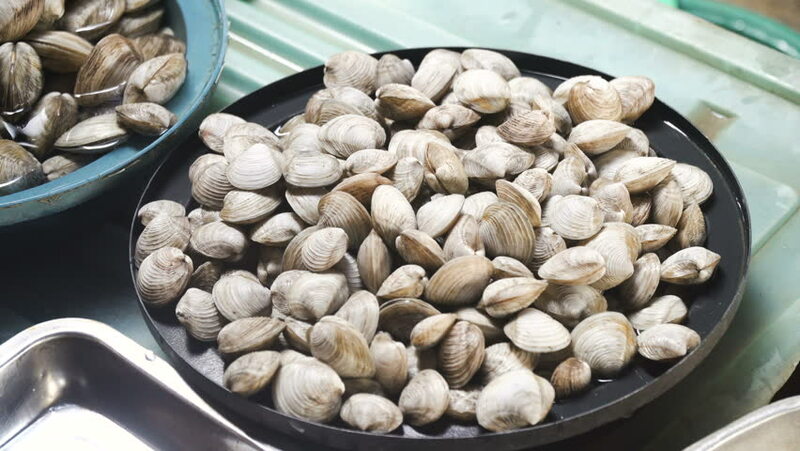 Fresh Clams in Asian market. Sale of fresh Clams fish in the Asian public store. Seafood on Market.Sea Clams lying on the shopboard at one of the street markets. 4K video, Philippines. 4k00:09Fresh Clams in Asian market. Sale of fresh Clams fish in the Asian public store. Seafood on Market.Sea Clams lying on the shopboard at one of the street markets. 4K video, Philippines.